Look no further for AUTHENTIC GREEK FOOD prepared how they do it in Greece. Our annual festival offers a wide variety of all your favorite Greek dishes and ones you’ve never tried. 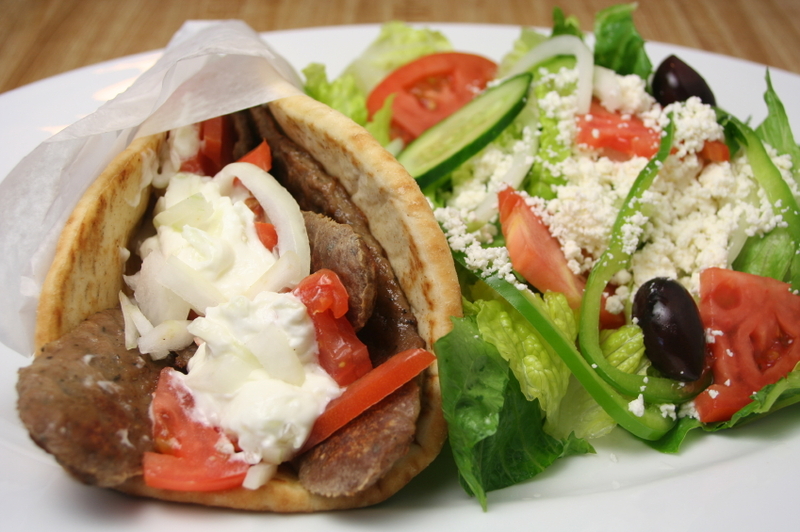 Try a traditional Gyro or a full course meal with Lamb, Mousaka and Greek salad. But be sure to leave room for world famous loukoumathes and baklava for dessert! All food is homemade by our parishioners from recipes passed down from generation to generation. Souvlaki – (Greek style Shish Kabob) Grilled marinated cubes of pork, served with Greek style green beans, rice pilaf, Greek salad and roll. Lamb Shank – Braised fore shank of lamb in a special tomato sauce, served with Greek style greek beans, rice pilaf, Greek Salad and roll. If you haven’t had a chance to sip on Greek wine on a Greek Island, the next best thing is right here in Cleveland. Buy a bottle of Retsina and grab a seat to watch our Greek Dance Troupes celebrate Greek heritage. Find your favorite Greek drink this weekend. Spirits - Plomari Ouzo, Metaxa and many more! Don't forget to stop by and try a traditional Greek coffee or try a Greek Iced Frappe. You won't find these in you local coffee shop.